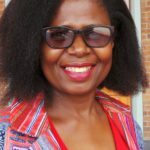 The Democratic Alliance is shocked that Amahlathi Municipality has unlawfully appointed the Chief Whip, Councillor Xanti Mngxaso and the MPAC Chairperson, Siyabulela Malawu on a full-time basis despite the fact that the MEC for Cooperative Governance and Traditional Affairs, Fikile Xasa, rejected its application for the Office of the Chief Whip and MPAC Chairperson to be designated as full-time. Please click here to view the MEC’s letter. I have raised this issue in committee meetings, and I’ll be writing to the MEC to alert him to the fact that he is being ignored, he must address this issue urgently. According to section 3 (b) of the Determination Types of Municipalities Act 5 of 2000 EC, a single whip appointed for council in municipalities with 40 or more councillors may be designated as full-time. The Amahlathi Municipality only has 30 Councillors. Therefore, their Chief Whip cannot be appointed on a full-time basis. This municipality does not meet the minimum requirements for this promotion. The appointment of these positions on a full-time basis constitutes unlawful and irregular expenditure. Malawu has allegedly been paid R132 651 over the past three months, R44 217 per month. The Chief Whip has allegedly not received his salary yet. It has also emerged that the municipality implemented a salary standardisation policy in July this year after employees reportedly refused to vote in August unless they received salary increments. This has cost the municipality approximately R12 million which was not accommodated in the budget. This decision has had dire consequences on the municipality as it has incurred heavy constraints on the budget.